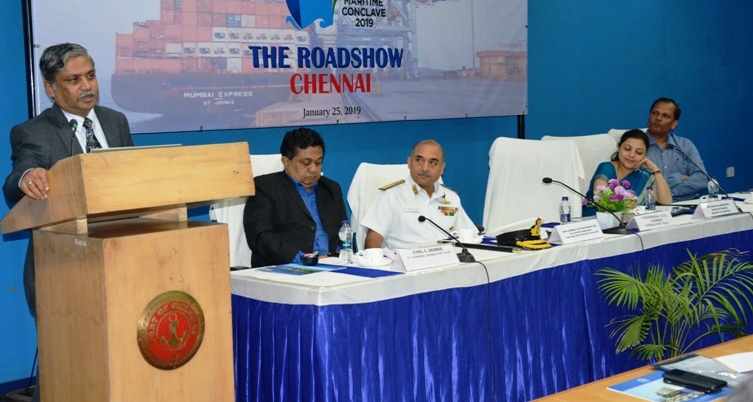 The road show for the 2nd Edition ‘Maritime Conclave 2019’ to be held at Bhubaneswar (Odisha) on 14th & 15th February, 2019 was conducted at Chennai Port on 25 January 2019. 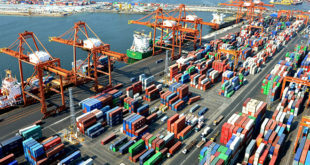 The Road show was attended by key stakeholders in Southern India such as Port Operators, Project Developers, Dredging Companies, Technology Providers, Renewable Energy Developers, Captive Port and Jetty Operators, Shipping Companies, Coastal Shipping Companies, Inland Water Transport companies, Cargo Handling – Logistics Service Providers, Shipyards etc. Welcoming the gathering, Shri Cyril George, Deputy Chairman, Chennai Port Trust, emphasized the success of Maritime India Summit 2016 and deliberated on the importance of such Conclaves in improving the Maritime trade. Ms. Priyanka Kulshreshtha, Director Finance, Ministry of Shipping spoke about the idea behind organising the Maritime Conclave. She elaborated on the importance of participating in the Maritime Conclave 2019 as a platform for sponsors, delegates, Exhibitors etc. to come together and discuss the hurdles and opportunities facing Indian Maritime Sector. The delegates of the Industry spoke on the emerging opportunities and potential in the Maritime Sector. Capt. R. Venkatesh, CEO, Chennai Container Terminal Pvt. Ltd. DP World, discussed about the investments in the Indian Logistics sector and its impact and also focused on the need for integrated logistic network. Capt. T.Madanmohan, General Manager, Chennai International Terminals Pvt. 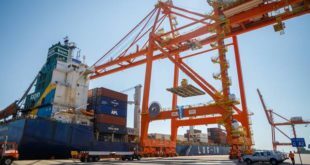 Ltd. PSA covered topics on business opportunities in India such as transhipment, Rail movement of cargoes, coastal movement of cargos and Inland waterways. Shri. 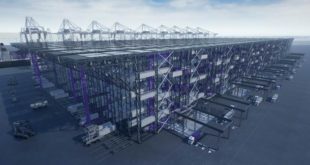 Ennarasu Karunasen, CEO, Adani Port, elaborated on the growing trend of GDP India and also on how the capacity of port is increasing with the growth in cargo volumes in the ports. Mr. Amalan Basu, Director, AVS-River Line Pvt. Ltd shared his views about the success of the MIS 2016 and the explained the benefits of participating in the Maritime Conclave 2019. Capt. M. Anbarasan, Chief State Port Officer, Tamilnadu Maritime Board elaborated on the developments in the Tamil Nadu Maritime Board and also deliberated on the challenges and hurdles faced by the customers (port users) such as non-uniform VTMS systems across ports, non-uniform charges across ports etc. 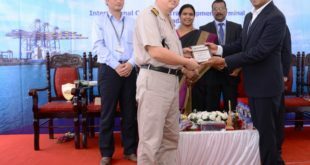 Rear Admiral Alok Bhatnagar, Flag officer Commander TamilNadu & Pudhuchery elaborated on the heritage of marine sector and commended on Ministry for taking initiatives to interact with different stakeholders in the Maritime Sector. Shri P. Raveendran, Chairman, Chennai Port Trust commended on the enthusiasm and valuable inputs relating to hurdles and opportunities in sectors from the speakers and delegates. He urged the delegates to participate in the Maritime Conclave 2019 with the same enthusiasm and ensured that this platform will be a great opportunity to discuss with the key stakeholders of the Maritime Sectors. Shri M.S. Balani, Traffic Manager, Chennai Port Trust delivered the vote of thanks and urged all the delegates to participate in the Maritime Conclave 2019 at Bhubaneswar (Odisha) on 14th & 15th February, 2019.